Dal soup... for the soul? There is no problem in life that can’t be fixed with a bit of dal – or lentils to give this glorious dish its English name. At least that’s what the family believes – we have dal when we are happy, when we are sad, when we are tired, when we need protein… okay you get the point, we have dal almost everyday. My late dad moved over to the dark side of dal obsession though – he insisted on having it with a poached egg when he was ill. I think I will have to be very very ill to try that! 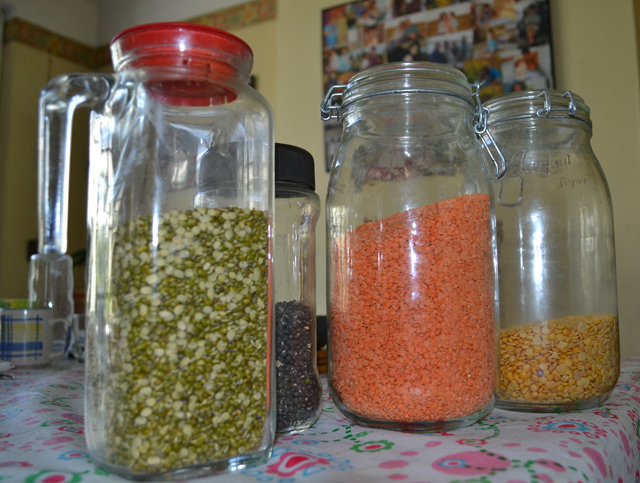 Now there are different types of dal: red, yellow, green – or masoor, tur, mung to name a few. We cook and love them all. The one that is easiest to cook is the red one, freely available in all supermarkets. This can be cooked in a normal cooking pan. I tend to cook other dals in a pressure cooker as they take longer to cook. Here’s the recipe for a very basic red dal that you can try at home. Let me know how it goes.. and it will be great if you post some pictures! 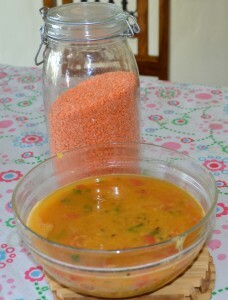 The dal that is easiest to cook is the red one, freely available in all supermarkets. This can be cooked in a normal cooking pan. I tend to cook other dals in a pressure cooker as they take longer to cook. 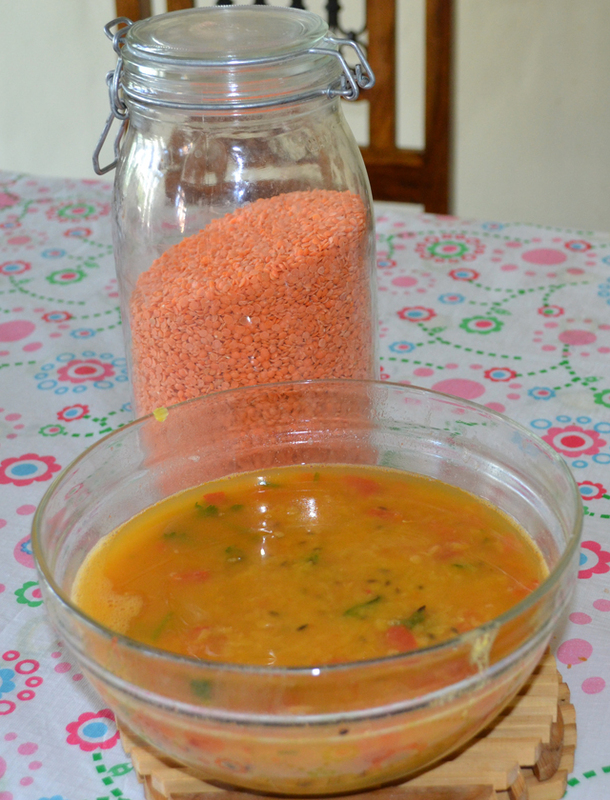 Here’s the recipe for a very basic red dal that you can try at home. Let me know how it goes.. and it will be great if you post some pictures! When I want to make this dal thicker, I normally add onions. I fry them at the same time as the cumin seeds. This entry was posted in Recipes from our kitchen and tagged dahl, dal, dhal, Indian food, Indian recipes, lentils, Puri Bhaji recipe, recipes, red lentils, rice by Poornima. Bookmark the permalink.